If you’re looking to take photos in places you generally won’t or can’t bring your phone, namely underwater or in harsh environments, a rugged and durable camera would be do a perfect job. That’s one of the many reasons why I like using a waterproof camera over a smartphone since you don’t have to worry about it getting damaged and all those sorts of stuff. Without further ado, let’s go over some of my personal recommendations for waterproof cameras I feel is best! How To Choose A Waterproof Camera? 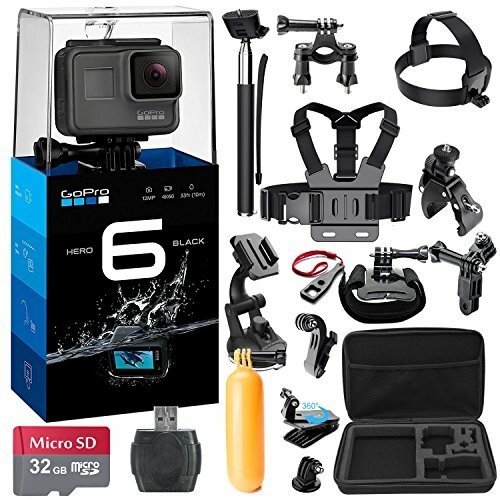 Below are some the main considerations that you should look out for and also formed our basis of determining which waterproof cameras (ones below) are the best on the market and for you! The good thing about waterproof cameras are thatt it’s not not only strictly waterproof but have many other durability features, such as shockproof, dustproof, as well. You might think that’s not important because you’re just bringing it underwater and there’s no need for it. Many of these cameras sold are ‘ala carte’, in the sense that it doesn’tdownprovide much accessories except for a few important ones. Hence, you’d have to think of what you’re going to be doing with the camera. Do you need additional batteries or memory cards? Also, if you’re planning to dive, you’d nit’d be a good idea to get a fill light since it’d be really dark down there. Many cameras nowadays, if you’re not familiar have, several wireless connectivity, such as Wi-Fi and Bluetooth, for transferring media to your smartphone so you can more easily post it to your social media. That having said, those cameras with Bluetooth though rarer, are usually better because it allows you to continously transfer data to your phone on the go so you can instantly upload it to your social media once you reach for your phone. This pretty much goes without saying but you’ll first need to understand what you’re intending to use the camera for. There’s really no point to get a camera with the many bells and whistles, when you don’t even know how to use half of the features available. Instead, especially if you’re a beginner or not much of a tech savvie, you’d be better of getting a camera that’s simple to use. Side note: A good waterproof camera can cost above $500 or even a $1000 but I feel the best ones in terms of bang for buck are usually below that point, at around $400, such as the TG-5. The newest camera by Olympus, suggested by its name, is one tough and durable camera. The TG-5 is designed to survive whatever you throw at it, be it bumps, knocks, drops or freeze, all thanks to its ultra durable build which Olympus claims can withstand up to -10˚C, 2.1m drop and15m waterproof, making it one of the most durable cameras out there. Furthermore, the appealing and ergonomic design also makes the TG-5 really easy and fun to use. Even though the TG-5 is great for action, panoramic action scenes, it can also be used for close-up shooting by changing your shooting mode to variable macro system. The built-in field sensor system in the TG-5 also lets you record numerous motion data, such as location, temperature, altitude and speed with a flick of a switch. 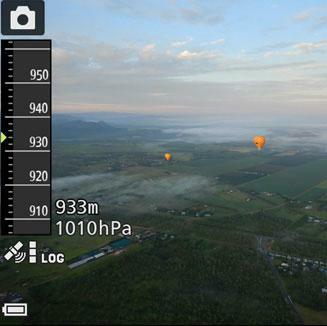 These data can then be displayed alongside images and videos using the Olympus Image Track app. After you’re done and satisfied with it, the image track app also allows you to immediately share it with your friends and family. And if done right, can really make your shots more enjoyable and engaging to watch! All in all, the TG-5 make an all round awesome rugged waterproof camera of design, durability and features. Although it does not come cheap, I still feel it’s worth the money to invest as the high quality finish will certainly allow it to last for a very long time. Next up, coming close behind the TG-5 is the W300. For a start, the W300 is a great camera to use underwater especially if you’re going down low because it has the highest waterproof index of 100 feet, way higher than any similar models. Moreover, if you’re planning to use it for other purposes, such as scenic or even moving panoramic shots, great, because it has the ability to film timelapse and superlapse (moving timelapse). However, it lacks slow motion which reduces its versatility as an all round good camera. The display on the W300 is also very detailed, more than twice the dots (921k vs 460k) found on the TG-5, making your reviewing of your shots all the more easier and accurate. Another cool and unique feature they implemented is a scene mode: Multiple Exposure Lighten, which compares the pixels and chooses only the brightest in that particular exposure. Great for night shots such as star trails or a fireworks display. In order to keep up with its competitors, the W300 has a built-in GPS and GLONASS system which allow you to geotag your photo and videos, which adds another dimension to your shots. Furthermore, the barometer, altimeter, electronic compass and depth gauge also measures the direction you’re facing and also how high or deep underwater so you can show your friends not only the footage, which can be quite boring, but also the accompanying data, making the video more lively and engaging. Moreover, the different built-in wireless connectivity such as Bluetooth & Wi-Fi also makes it great for quick data transfer to your smartphone via its companion app, the Nikon Smartbridge, so you can easily share the shots you took without ever having to transfer to the computer afterwards. Let’s now take a quick look at the main differences between the TG-5 and the W300, which in my opinion, are the creams of the crop amongst waterproof cameras. As far price goes, because of the recent price dip for the TG-5, they are basically identical. However, the W300 in general compared to the TG-5, had lesser options to play around with such as filters, effects and other shooting (flash output can be adjusted in TG-5) and video options (RAW photos being one of them). On the other hand, the W300 had a higher waterproof rating, more reach on its optical zoom and slightly higher photo resolution. All in all, I felt that it’s a decent all-rounder rugged camera but unless you really need that extra waterproofing or generally like a cleaner user interface, I’d still stick with the TG-5. For all of you beginners or casual users out there finding the Nikon and Olympus (above) too pricey for your budget but still wanting to get a waterproof camera to use in harsher places where you can’t bring your phone, the newest camera by Fujifilm might be what you’re looking for. Being the successor of XP120 and one of the best budget waterproof camera is the XP130. For the most part, it is similar to the XP120 but with a few additional features such as the bluetooth connectivity, for continuous low power transfer to your phone, and also an electronic level function to keep your horizons dead horizontal, be it a scenery or architecture shot. In addition, the LCD display on the XP130 is also really bright and clear so you won’t be busy squinting when framing or reviewing your shots, even on a sunny day. Let’s talk about image quality. Pictures and videos taken on the XP130 is surprisingly good for the price you’re paying and is even comparable to other cameras on the higher end, for example the Nikon W300. As for videos, the XP130 can shoot up to 1080p 60fps smoothly but again, quality on it isn’t as great as other waterproof cameras that can shoot 4K. At the end of the day, I found the Finepix XP130 to be a great improvement over its predecessor the XP120 and it’s certainly worth the money if you’re looking for a cheap and at the same time, durable camera that can be used. Image quality wise, if I were to compare, is on par with mid-tier smartphones so it’s not bad, but at the same time, not excellent too. Right off the bat, the DC2000 has an unorthodoxical look to it due to its waterproof case and it’s watertight buttons at the top. That said, if you’re serious about diving with marine creatures and exploring the underwater world, the DC2000 may be very well for you. That’s because the DC2000 is fully optimised for underwater shooting and has a super large 1-inch 20MP image sensor, which ends up decreasing noise and enhancing low light performance, ultimately improving the quality of the footage you get. Moreover, because it’s made primarily, though not limited to, underwater use, it has a native 60 ft (18m) waterproof rating and also come included with another housing that allow you to bring it down all the way down to 200 ft (61m) underwater. In addition, the DC2000 has several digital colour correction filters (aka white balance) to correct the ‘blueness’ at different depths of water, which can help save time in post processing. Furthermore, other than the traditional wide-angle shooting, the DC2000 comes equipped with macro shooting modes for taking close ups subjects, a few inches away. Other than the unusual design of the DC2000, is the fact that it doesn’t use an external memory card like other waterproof cameras but uses an internal memory, which allows it to be really waterproof. The DC2000 can shoot videos up to 1080p 60fps and despite it having no option for 4K, the quality is still nonetheless high quality and eminently usable for practical uses. The large 1-inch sony sensor and its ability to shoot in RAW also make the DC2000 one of the best in terms of still shooting quality in low light conditions. Oh and if you’re interested, there are also tons of underwater accessories that work great together with the camera such as strobes, lights and handles. All in all, the DC2000 is a great all-rounder waterproof camera especially for divers and underwater photographers because of its versatility to record both wide angled reef shots and macro subjects and also its solid image quality in low light thanks to 1-inch image sensor. Although the Hero 6 Black isn’t as rugged (it lacks shockproof and freezeproof) as the others waterproof cameras, it’s still a great camera to consider simply because the footage you’re getting on the Hero 6 Black is amazing. And by that, we mean it’s the best on this list. The Hero 6 Black, the newest flagship action camera by GoPro, is able to shoot 4K at 60fps, shoot slow-mo up to 240fps at 1080p and take 12MP RAW photos, something no other cameras on this list is capable of doing. The small form factor of the Hero 6 Black makes it more versatile than many other cameras since this means you have more options when choosing places to mount. Besides that, it also comes with various motion sensors which allows you to capture anything from your route and direction all the way to your speed and g-force, and afterwards have them display alongside your videos, creating an even more immersive video for your friends and family. Moreover, it has a built-in waterproof body that is able to withstand up to 10m (33 ft) underwater though an additional waterproof housing can be bought and increase its waterproofing index to 60m (196 ft). Lastly, there’s also a whole industry of GoPro accessories, from the official GoPro floatable handle grip, all the way to 3rd party underwater fill light for diving and suction cup mounts for surfboards that you can utilise when using a GoPro or any action camera in fact. This is why we think this is the best waterproof camera out there if you’re looking for a mix of user-friendliness, quality and design. However, that having said, if you’re looking for something more rugged and durable, you might be better off with other waterproof cameras. Till next time, have a great one!